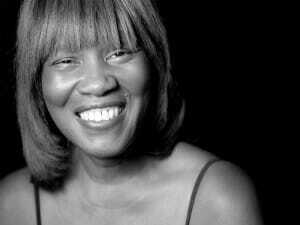 CSI Professor of English Patricia Smith has won three prestigious poetry awards. CSI Professor of English Patricia Smith has been garnering a lot of attention lately. It started when her latest collection of poetry, titled Incendiary Art: Poems (TriQuarterly Books/Northwestern University Press, 2017) won an NAACP (National Association for the Advancement of Colored People) Image Award for Outstanding Literary Work – Poetry. As Smith and the College community were celebrating that honor, Smith also won the prestigious $100,000 Kingsley Tufts Poetry Award for the same collection. Now, it has recently been announced that Smith has won the the Los Angeles Times Book Prize​ for poetry for Incendiary Art. Patricia Smith is the author of eight critically recognized poetry collections, including Blood Dazzler, finalist for the 2008 National Book Award. Among her honors and awards, she was a 2014 Guggenheim Fellow, and she has received the 2014 Rebekah Johnson Bobbitt National Prize from the Library of Congress, the 2013 Lenore Marshall Poetry Prize from the Academy of American Poets, and a 2013 Phillis Wheatley Book Award. A formidable performer, Smith has read her work at venues all over the United States and around the world.